"Romano Guardini: a look to the future"
The year 1968 was undoubtedly a turning point in the twentieth century. The Tet offensive, launched by the northern army at the end of January, will change the perception of the American people and of world public opinion on the progress of the Vietnam war, announcing the first great defeat of American interventionism during the Cold War. The "Prague Spring" – the season of political liberalization in Communist Czechoslovakia, inaugurated at the beginning of the sixty-eight – was stifled in the blood by Soviet tanks at the end of August. On 4 April, the Baptist pastor Martin Luther King Jr., a champion of the struggle for the recognition of the civil rights of African Americans, is killed in Memphis (Tennessee, USA) and, on June 4 in Los Angeles, California, the same fate will happen to Robert F Kennedy, Democratic presidential candidate of the United States and brother of John F. Kennedy, American president assassinated five years earlier. In the month of May, the discontent that has been brewing for some time among young people, results in student and worker revolts especially in Italy, France and Germany, which reverberate throughout the Western cultural sphere. On 25 July, Pope Paul VI published his encyclical Humanae Vitae on the regulation of the birth rate, which will be bitterly contested by many, both inside and outside the Catholic Church. Finally, on October 2, ten days before the start of the Olympic Games that took place in Mexico City, a student demonstration will be violently repressed by the army, with a final balance of hundreds of victims and "desaparecidos". 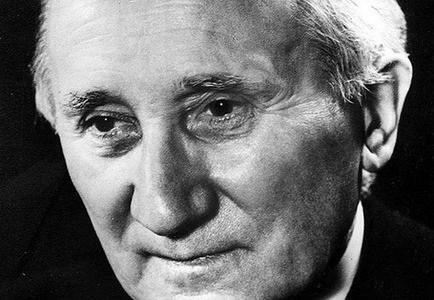 Amid such great upheavals, it is not surprising that the death of Romano Guardini on October the 1st of that year had passed almost unnoticed by the general public. However, the epochal changes in European society between the nineteenth and twentieth centuries – the industrial and technological revolution, the exponential growth of scientific knowledge, the consolidation of workers' and socialist movements, of secularization and of the trend towards de-Christianization, etc. – which were at the origin of the events of the sixty-eight, were at the core of the reflections of this Catholic priest, fine theologian and philosopher, prestigious professor at the universities of Berlin and Munich, promoter of Christian awareness among the young Germans between the two world wars, and forerunner of the liturgical renewal eventually crystallized in the reforms of the Second Vatican Council. Romano Guardini was a frontier man. Different worlds met and confronted in him. Born in Verona, moved with his parents to Mainz in Germany in very tender age, he was imbued with the reflective spirit of the German people and the sensitivity of the Mediterranean world. Born in the late nineteenth century, this Italian-German intellectual lived first-hand the cultural changes that were about to transform Europe face at the turn of the century. The academic open spirit, critical thinking and interdisciplinary mind-set were natural to him: before discovering his priestly vocation and prior to his intellectual dedication to theology, he attended courses in Chemistry and Political Economy at the universities of Tübingen, Munich and Berlin. He never detachedly contemplated the events of his time, but reflected on them with existential involvement. Neither the fears and anguishes of his contemporaries, nor their joys and hopes, were extraneous to him. Everything happening around him touched him and triggered his “reactions”. He never did theology or philosophy of religion regardless of, or behind, the culture and science of his time, but always in dialogue – sometimes explicitly and sometimes only implicitly – with the exigencies and aspirations that shaped society. Not by chance, he was asked to inaugurate the chair of "Philosophy of religion and the Catholic vision of the world" (Religionsphilosophie und katholische Weltanschauung) at the Protestant University of Berlin. In this brief presentation, I would like to outline two aspects of Guardini's teaching and public activity which seem to be especially relevant for the relationships between faith and reason, and between theology and science. In the same way as Pascal, today's Christian is called to incarnate his scientific-cultural and professional activity in unity of life, along with his personal relationship with God. These are different layers that are not opposed. Yes, they are distinct, but they actually interpenetrate in the concrete existence of the Christian. In Guardini's life, we can discover a similar effort for the unity of intellectual life, in which theological reflection is not an isolated realm, but communicates with philosophical and scientific reflection on reality. Precisely because the intellectual life, and not abstract thought, is at stake, his theological-philosophical reflection was widely nourished by an intense personal life of relationship with God, as well as by the fraternal relationship with the people around him. «Our place is in what is evolving. We must take our place, each at the right point. We must not oppose what is new and try to preserve a beautiful world that is inevitably perishing. Nor should we try to build a new world of the creative imagination that will show none of the damage of what is actually evolving. Rather, we must transform what is coming to be. But we can do this only if we honestly say yes to it and yet with incorruptible hearts remain aware of all that is destructive and nonhuman in it. Our age has been given to us as the soil on which to stand and the task to master. At bottom we would not wish it otherwise. Our age is not just an external path that we tread; it is ourselves. Our age is our own blood, our own soul. We relate to it as to ourselves. We love it and hate it at one and the same time. As we are, so we relate to it. If we are thoughtless, we relate to it thoughtlessly. If we say yes to it in the form of decision, then it is because we have had to come to a decision vis-à-vis ourselves. We love the tremendous power of the age and its readiness for responsibility. We love the resoluteness with which it hazards itself and pushes things to extremes. Our soul is touched by something great that might well emerge. We love it, and our soul is touched, even though we see clearly its questionability relative to the value of the past age. We must be able to see very plainly what is at issue if with a fixed heart we are ready to sacrifice the inexpressible nobility of the past. Guardini's attitude is not one of abandonment to the forces of change, but that of those who do not fear novelty and take it critically so to manage it and transform it into a human and Christian sense. He reminds us that the Christian is not an alien in contemporary society but a man of his time, who is called to live as a Christian in the first person, without ingenuity but also without a priori closures, without spiritualism or scepticism. The testimony of Romano Guardini’s life is also, in this sense, a call to incarnate the divine and the transcendent in today's existence, in the footsteps of Jesus Christ, the Son of God made man.